What is the Fort Pitt Society? What is a Gun Loop? 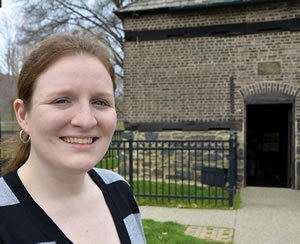 A complete history of Pittsburgh’s oldest architectural landmark, written by site curator Emily M. Weaver. As part of the celebration for the 250th anniversary of the Fort Pitt Block House, the Fort Pitt Society of the Daughters of the American Revolution has released for the first time a complete history of Pittsburgh’s oldest architectural landmark. Written by former site curator Emily M. Weaver, the book is entitled The Fort Pitt Block House, and it is published by The History Press, Inc., of Charleston, South Carolina. Beginning with its construction in 1764, the story of the Fort Pitt Block House is one that spans nearly three centuries of Pittsburgh history. The Block House was originally constructed as a defensive redoubt for Fort Pitt, a key British fortification during the French and Indian War. After the conflicts on the Pennsylvania frontier ended, the brick-laid building served as a trading post for wares and munitions, and in the nineteenth century, it played host to families and even a candy shop. In 1894, the only surviving structure of Fort Pitt was gifted to the Pittsburgh Chapter of the Daughters of the American Revolution. Though the building was threatened by demolition for the expansion of the Pennsylvania Railroad, the Daughters of the American Revolution fought to preserve this historic treasure for Pittsburgh. The Block House remains in its original location in the heart of modern-day Point State Park with much of its bricks, stone, and woodwork still intact from 1764. 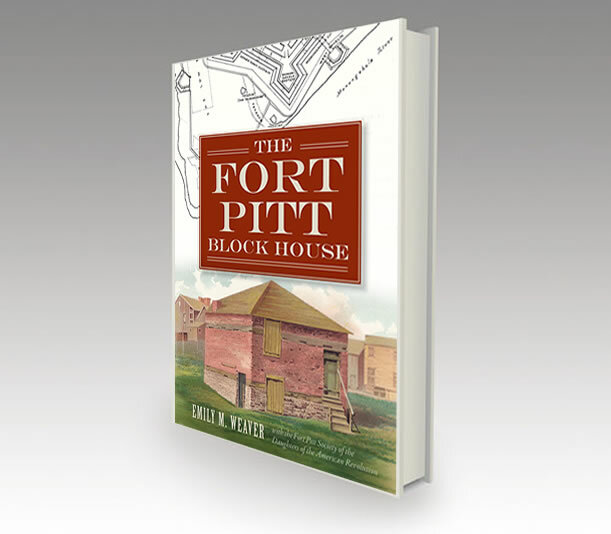 Copies of The Fort Pitt Block House are available for purchase on-site at the Block House as well as at local stores, gift shops, and online. You can enjoy a sneak peak at the book right now by reading a preview. Retail price is $19.99, 160 pages. It also retails as an E-BOOK via Amazon, Barnes & Noble, Apple’s I-bookstore, Google’s E-bookstore, & Overdrive. For information, please call (412) 471-1764 or send an email by using the Contact Us page on this website. To keep up with the latest news, like us on Facebook. To stay up-to-date on the latest plans for Block House 250, click here or follow us on Facebook. Sign up to receive our email newsletters through our Contact Us page. Check out our interactive timeline of the history of Fort Pitt Block House. The Fort Pitt Block House is open year-round for visitors and tour groups. Admission is free. See our hours of operation and directions. 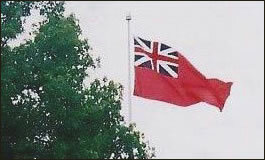 On special days a reproduction of the British Colonial Red Ensign flag flies over the Block House, reminding visitors that the Block House and Fort Pitt were pre-Revolutionary British structures. Special thanks to the Buhl Foundation for their generous support in the development of the Fort Pitt Block House website. 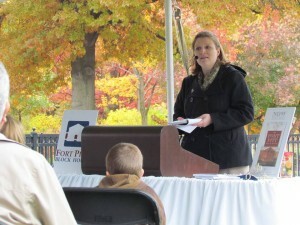 The Fort Pitt Block House is a private, nonprofit organization – donations to which are tax deductible to the fullest extent permitted by law. The official registration and financial information of the Fort Pitt Block House may be obtained from the Pennsylvania Department of State by calling toll free, within Pennsylvania, 1-800-732-0999. Registration does not imply endorsement. Please note that the Fort Pitt Block House is registered with the IRS under the legal name Fort Pitt Society of the Daughters of the American Revolution of Allegheny County, PA. Copyright 2012-2019.